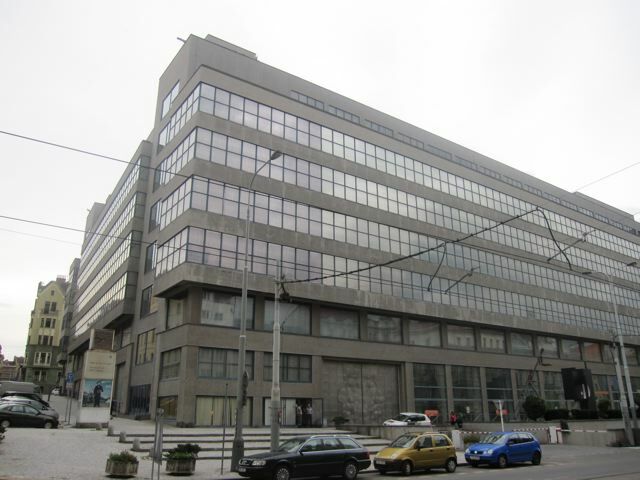 ** Esse has closed and has turned into a Potrefená Husa restaurant. The phone number remains the same. 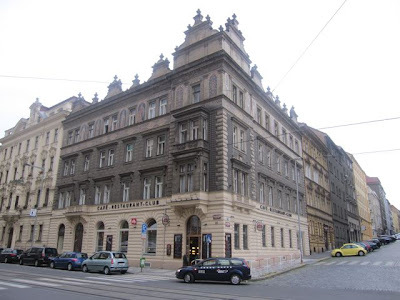 A few months back, while writing about Baterka, I lamented the dearth of decent restaurants in Prague's Holešovice neighborhood. 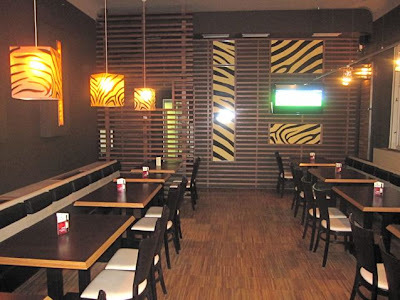 More recently, I noticed a similarly styled place called Esse, a cafe, restaurant, and club. It's across the street from the National Gallery at Veletržní Palace. It has a modern look that makes artistic use of blond and dark woods mixed with creative, integrated lighting. That extends to the eye-catching bar area as well. I met G-Man for dinner and drinks to catch up on the many and varied happenings of life. 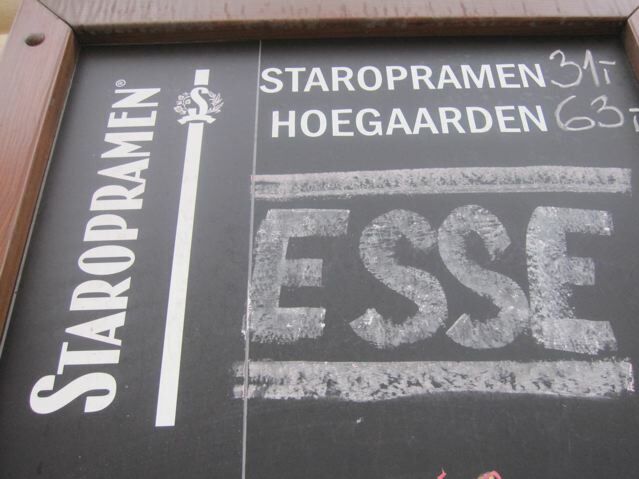 Esse is a Staropramen branded pub, but neither of us like their regular lager. 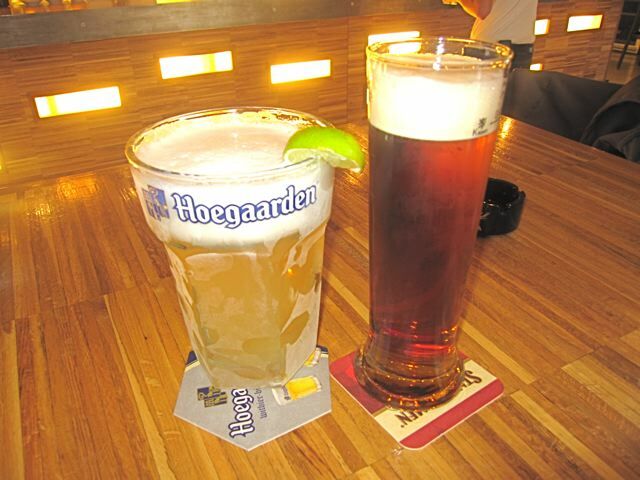 I had a half-liter of Hoegaarden (63 CZK), which was very good. 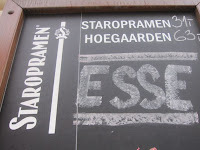 G-Man had the .4 liter glass of Staropramen Granat (35 CZK), an 11-degree amber lager. His was fine on the first visit, but on a return trip, it was flat and G-Man thought it had gone bad. He was not happy. We received some bread. 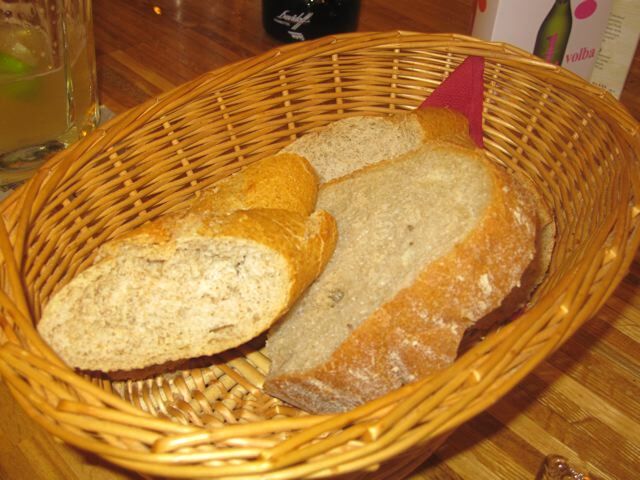 It was very ordinary Czech bread and some baguette slices. 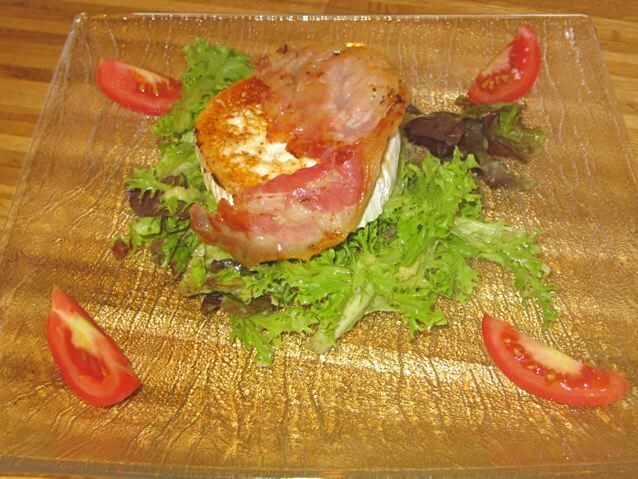 I started with the grilled goat cheese salad (110 CZK). It wasn't bad, but a very simple affair. The wheel of cheese was warmed all the way through, and there was a slice of bacon across the top. There was a small amount of frisee and other nice leaves underneath with a basic oil and vinegar dressing. G-Man ordered one of his stand-by dishes: Fettuccine aglio olio Tagliáta (155 CZK). 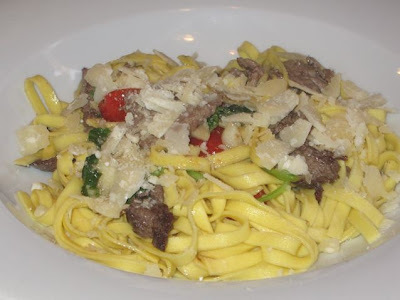 Versions of this pasta at other restaurants are often bland, but this one was not. We both remarked on how tasty it was. The fresh Parmesan, the marinated beef, the roasted garlic, cherry tomato, and rucola all worked together well. The pasta was not overcooked. We started with low expectations that were more than surpassed. 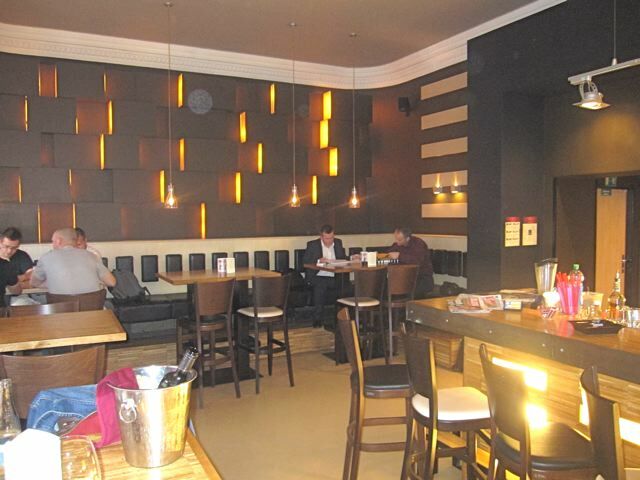 I had the ESSE Wings (135 CZK). I loved them. They were fried, but not greasy, with dark, crunchy, crispy seasoning clinging to the outside. They were meaty, tender, and juicy on the inside. Lovers of American-style hot wing sauce will be disappointed, but they are only served with a sweet mango-chili sauce. It is exactly the same as that served by Ambiente on Manesova. 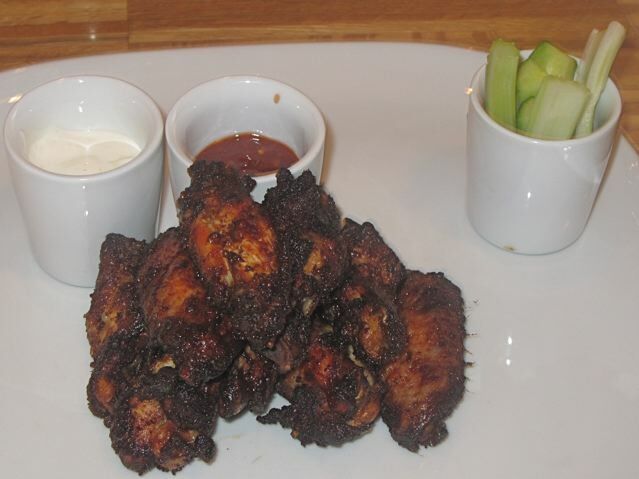 In fact, these wings are every bit as good as those, for a much cheaper price. The main disappointment on this visit was the cocktail I tried. 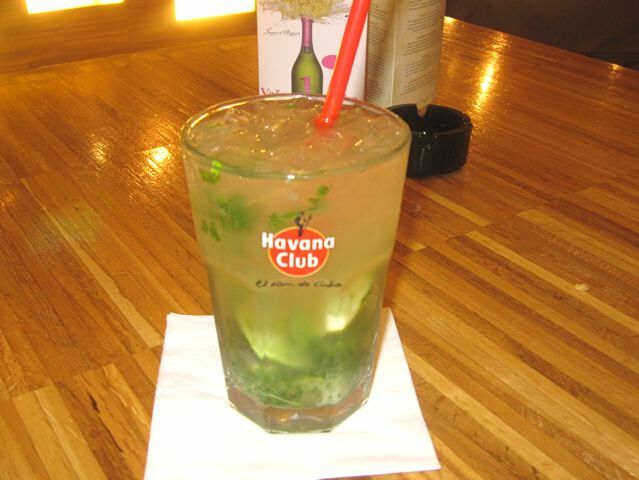 I ordered a Mojito (92 CZK). The price was good, but that was about it. The drink was watery and I never thought I'd say this, but it needed more ice. With some other beers and water on the bill, it came to 789 CZK. I was interested in seeing how far the quality extended through the menu, so I returned the following week. I met G-Man along with his girlfriend, Miss Soprano, and their colleague, Mini Driver. G-Man knew I was going to write about the place, but he ordered the wings again. He knew this wouldn't help me get a broader understanding of the restaurant, but it made a useful statement. He liked the wings too much to order anything else. Mini got the salmon on a baguette (70 CZK). 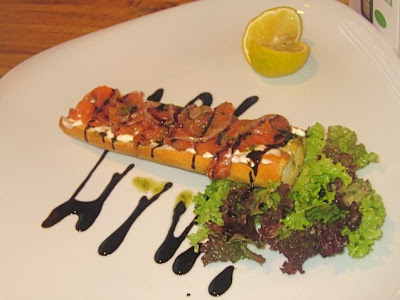 The menu (in Czech only on the Internet) was confusing because it called it "smoked salmon" and then went on to describe it as marinated in the "grave-lax" style. It was indeed marinated, which I much prefer. The fish was buttery and fresh. There was also balsamic syrup, garlic butter, and salty feta cheese spread. Frankly, there was too much going on with these other flavors. They overwhelmed the excellent salmon. They have a tapas menu, but a few things were unavailable, including the fried jalapenos with cheddar. I did want to see if they were the same Makro stuff at every other restaurant. 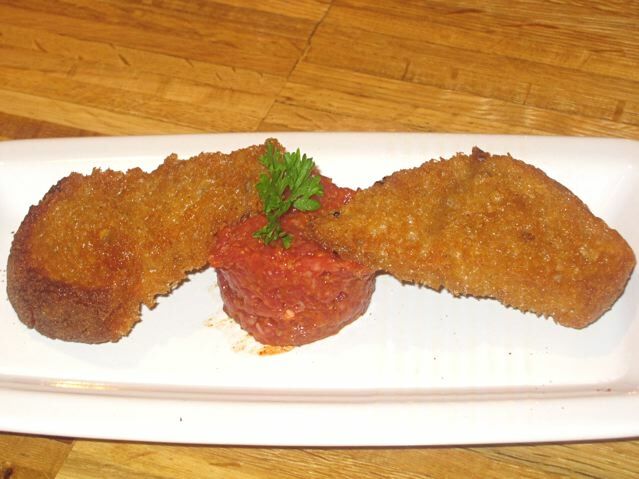 Instead, I got the little beef tartare tapas (35 CZK). It was a cute little portion of meat with mini fried bread. It was simply seasoned with salt and ketchup. It was a nice, small snack. 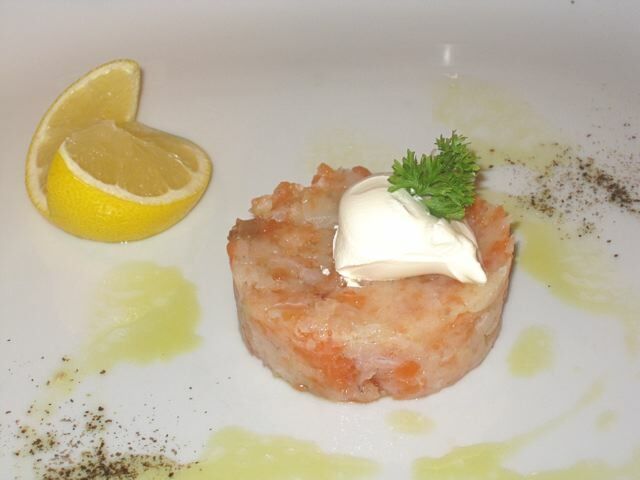 Then, I went for the appetizer of fish tartare (115 CZK). It was fresh salmon and pike-perch formed into a cylinder. The waitress told me there was tuna in there, but I didn't see it. I squeezed a lot of lemon over it. The salmon tasted a bit fresher and had a better texture than the pike-perch. It was very basic, with just some olive oil and pepper. 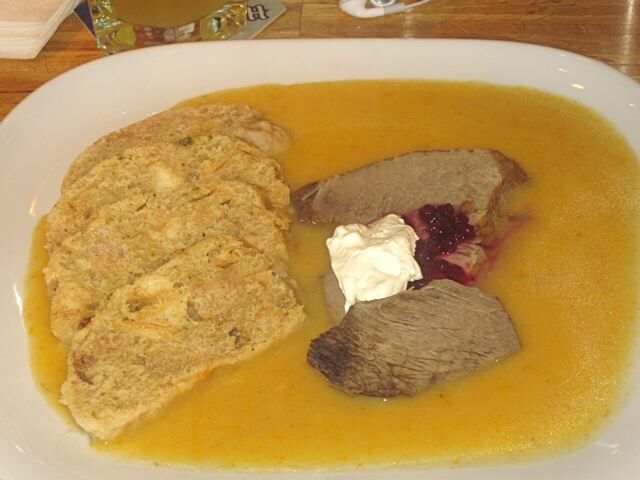 For a main course, I decided to check one of their Czech specialities: the svíčková na smetaně or beef in cream sauce (155 CZK). Where to begin? The sauce was watery and was more like a salty broth. There was no lemon. The beef was tender, but cooked into desiccated hunks. The dumplings were dried out, crumbly, and tasted old. I called it the worst svíčková na smetaně I'd ever had. Everyone had a taste and agreed. It was awful. I'll end on a positive note and say that the service on both visits to Esse was excellent. 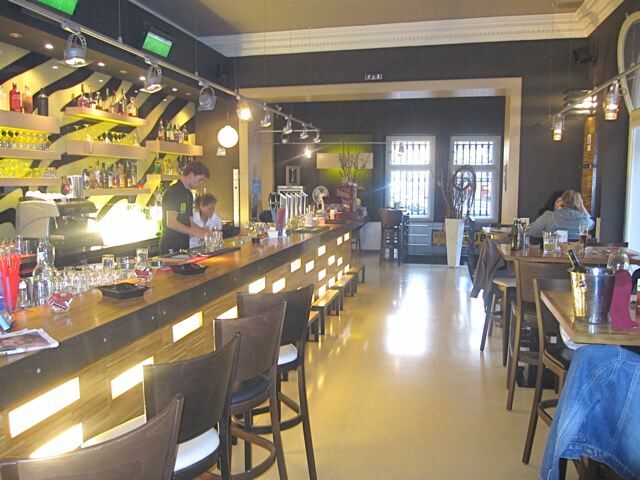 The waiters and waitresses were friendly, efficient, and cheerfully switched between English and Czech with me. Though there was that bad cocktail and beer, a lot of the food was above average for this type of place. There was better value and quality than I expected. I do like the Burgers at the Bohemia Bagel down the street, so if I'm in the area, I might still head over there. But as G-Man said, Esse's wings are better. And it's always good to have more than one option. So if there shall be wings, for me, Esse is the way to go. Those knedliky just look disgusting. Holesovice is My Fav Area in Praha. Bohemia Bagel is where I eat, but may give Esse a try. Not a Fan of Wings or Tartare, but may try their Tapas. Admittetdly Czech food is never big on presentation, but that REALLY doesn't look appetising (and I speak has a svickova lover). Glad to hear there's a new option out there; thanks for the tip. Have you ever been at "U Houmra" or planning to visit it? I could not find a review of it in this blog, so I assume there is no review on it yet. I recently got another recommendation for Cafe Bar Letna. Will try to get there some day.